Well, by now most of you would have seen the electrifying trailer of Baahubali-The Conclusion umpteen number of times. I too have been in awe of this awesome trailer and having watched it countless number of times would like to share a few things i have observed from the video. A few things were obvious, a few things needed going back to Baahubali-The Beginning to confirm and some are just some reasonable guess work. 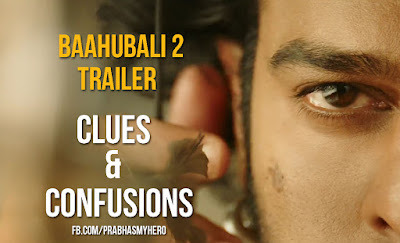 Now can we go into the clues, hints we can find from the Trailer of Baahubali -The Conclusion? A lot of things seemed to have happened in one single night. 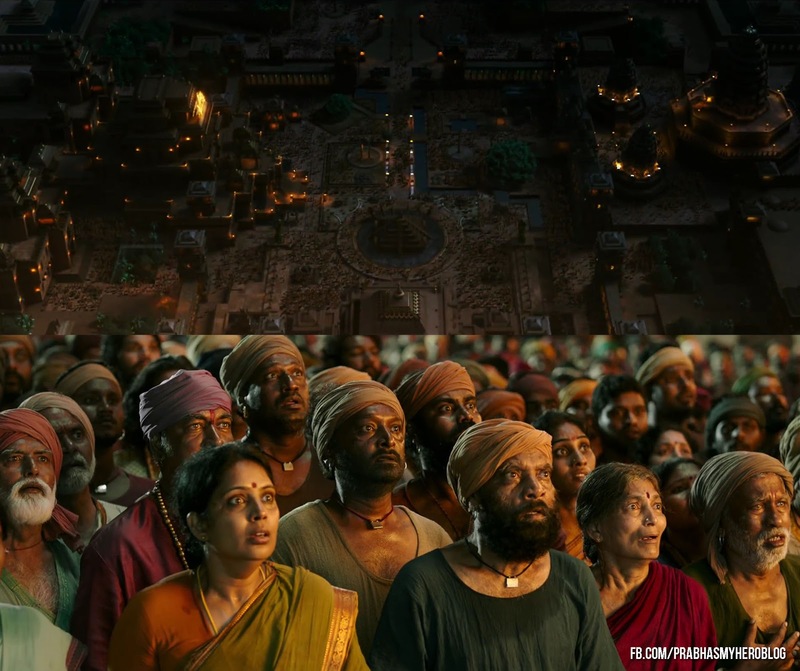 In the opening shot we see a lot of people, mostly to be the people of Mahishmathi all around the palace. It appears to be a dark and eerie night. In the next shot we see the shocked faces of the civilians lit by the flickering fires in the palace. What is it the reason for them to have gathered at the palace in the dark of the night? Have they gathered to hear the news about their new born prince or the bad news about Baahubali from the battlefield? 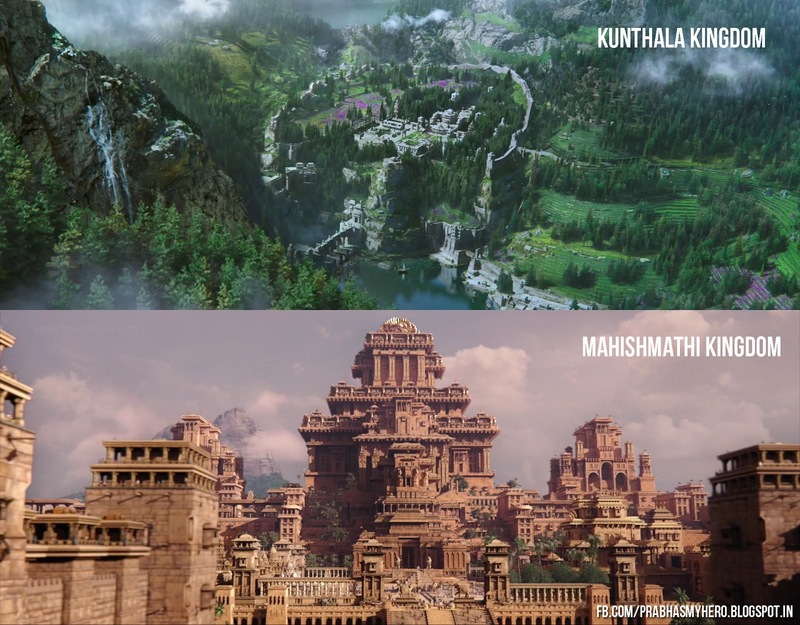 It is most likely that the birth of Mahendra Baahubali, Baahubali's killing on the battlefield and Sivagami escaping with the child all happen on that fateful night. If you observe Sivagami's saree and bangles, you can recollect that she was in the same saree in the opening sequence of Baahubali-The Beginning when she escapes with the child. Sivagami holds up and announces Mahendra Baahubali to the people. The atmosphere is filled with tension and her face looks pale and ashen. The blood stains on her hand tell that much has happened before Shivudu is born. From the bangles, we can understand that the hand belongs to Sivagami. Is she seeking forgiveness from Devasena? or is she pleading with Devasena to handover the child to her to ensure his safety? This appears to be a poignant scene with the little baby unwillingly giving an oath, presumably to avenge the killing of his father. The hand that takes the promise most likely belongs to Devasena who takes this vow from her little one before letting him go with Sivagami. This person with a dejected and crest fallen walk, dragging a blood dripping sword along the stairs is Kattappa probably when he enters the palace after stabbing Baahubali. Yes, the hand belongs to Bhallaladeva. Is he seething with anger and frustration on being denied the crown or is there any other reason? In the top shot we are given a shot of the beautiful and fertile Kunthala Kingdom by the side of the mighty river. Agriculture is seen being done in terrace method on the hillside with beautiful fields of pink flowers (expecting a romantic scene or song here). The Kunthala kingdom is shown in while signifying its built predominantly in marble while Mahishmathi on the contrast is built with sandstone. In these shots we see Baahubali riding a horse through the idyllic locales of Kunthala when he sets his eye on the beautiful Devasena and as expected is completely mesmerised by her. Is it just for her looks or with her display of gallantry. Surely, by both qualities. Apparently Devasena is behind a white veil, which she slices and tears through with her sword revealing her beautiful eyes. But Devasena is not just a feast for the eyes as she reveals her ferocious side by shredding the cloth to pieces and taking on the few unruly men. The first shot of Devasena dancing reveals that this is a song, but is expected to be a duet. The song seems to be happening on a ship. The jewellery Devasena is wearing on her head in the first shot can be seen in the closeup shot with Baahubali and hence the guess that this is a duet song sequence. Will Baahubali get a full kiss from Devasena? This whole part looks pretty confusing as to what happens first and what is next. The only connecting point seems to be the dark pink and maroon costume Baahubali can be seen wearing in all these shots. Lets take a look at this shot. I have to admit that this surely is a thrilling sequence made really well. Baahubali can be seen climbing on a huge sloping log with what appears to be some sort of a hook attached to a long rope or chain. So Baahubali runs really fast on this sloping log and then throws the hook over the edge of this huge wooden barricade and then uses the rope to climb on to this place. But then what place is this and what is it hiding on the secluded mountainside? Or is it Baahubali doing a dangerous stunt just to enter Devasena's place? Could it be that this place is a dam and Baahubali is trying to let out the water to quell the huge fire raging in Kunthala after an attack by enemies as can be seen from this shot. hope i am not imagining too hard on this. If we take a careful look at this shot, we can see the soldiers in the front kneeling on seeing someone behind Devasena and she turns around to see who it is. 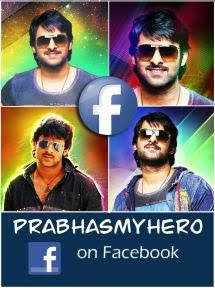 Is it Baahubali? does this sequence happen in Kunthala or in Mahishmathi after their marriage? Where is Baahubali in the shot below? Is he at Mahishmathi or at Kunthala. What is the reason for the serious look on his face? 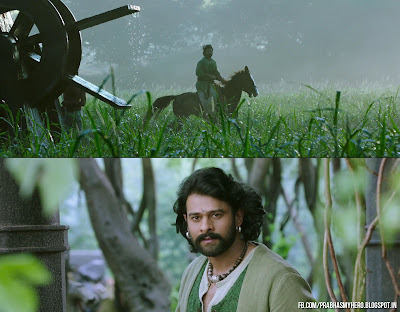 In this scene we see a huge white ship, similar to the one Devasena was dancing upon entering the kingdom of Mahishmathi. The head mast of the ship is a swan, the emblem of Kunthala Kingdom. The sails of the ship at a distance seems to appear to be like the wings of a swan held aloft. We will see more on the Trailer in another post.